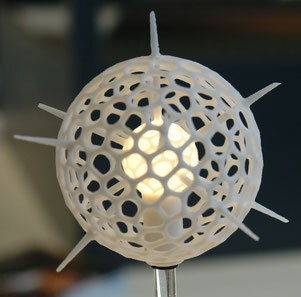 Additive manufacturing is a generative production process with which, for example, hollow components are built up layer by layer from the desired material. AluStir offers CNC-controlled machining centers that integrate welding, milling and smoke extraction instead of conventional 3D printing or stereolithography. We usually use innovative variants of the well-known welding processes such as MIG, MAG, TIG or FSW. Due to the automatic tool changer, the production cells supplied by AluStir are also used in series production. The machining centers available through AluStir carry out automatic CNC high-speed milling after welding one or more layers. This gives us unique tolerance accuracy and surface quality. Unlike powder-based sintering, we work with filler metals made of wire or sheet metal. This avoids most health risks caused by dust. In arc welding, we use modern smoke extraction systems. When milling, we work dry or use cooling emulsion or MQL (minimum quantity lubrication). With AluStir's preferred combination of material build-up by welding and milling, adverse health effects caused by metallic dusts are largely avoided. The known disadvantages of the powder bed process with granular or powdery materials are obsolete. We work either wire-based in arc welding, with metal sheets in the solid phase with Friction Stir Welding or with round bars in friction surfacing. The automatic tool change allows fully automatic operation. This not only enables rapid prototyping, but also series production, for example in the industrial production of internally water-cooled components such as heat exchangers and hollow turbine blades.